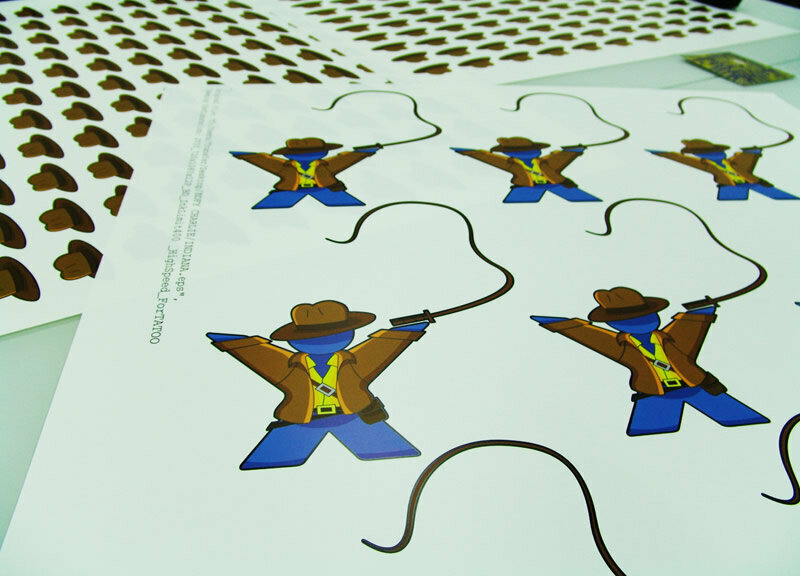 Have you ever wondered just how we print our world-famous digital transfers? The ones that end up on your garments looking amazing? Wonder no more. Today we’ll show you a behind-the-scenes peek at just how your designs go from the computer screen onto the final garment! 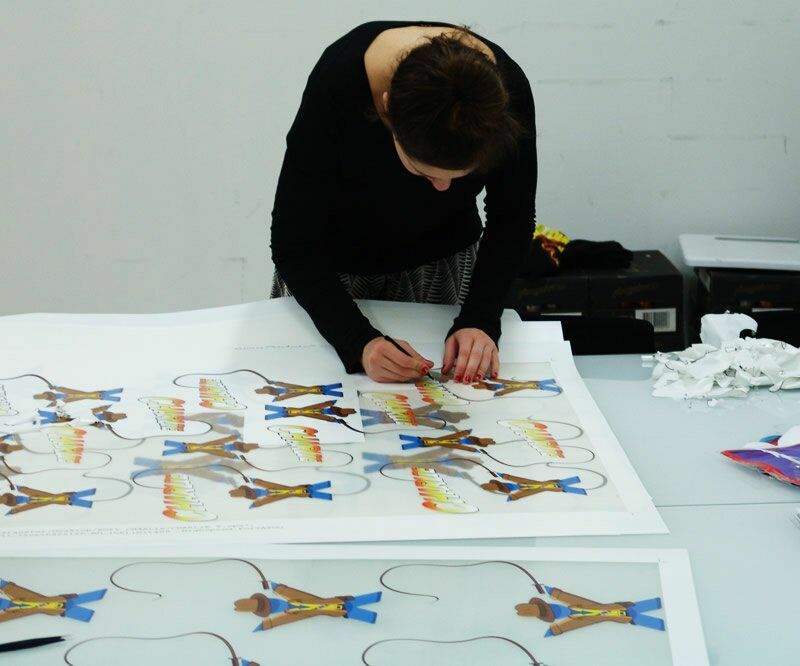 Once you’ve booked your job in, your artwork then gets sent to Sarah, our resident Digital Transfers guru. 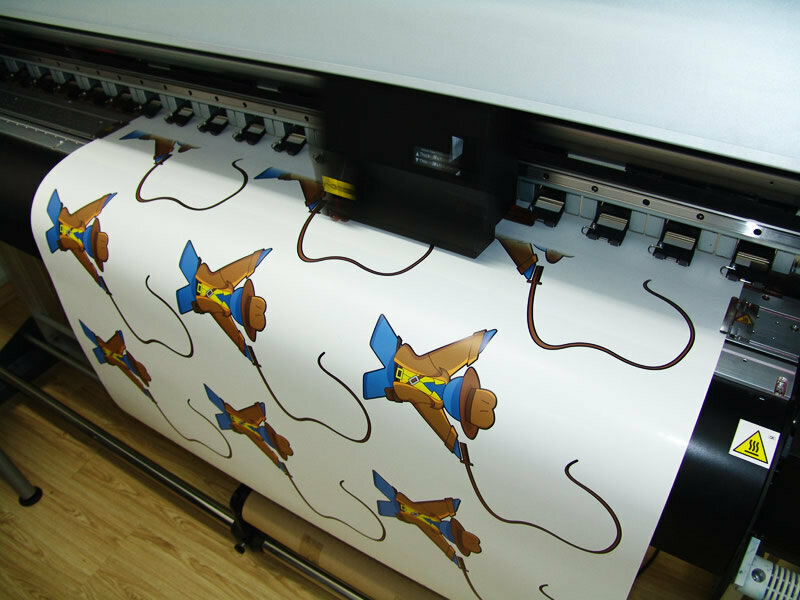 Sarah is a bona-fide Digital Transfers pro and will handle all your printing and adds what we call a “cut line”, which is a coloured line surrounding all the areas that you wish to be cut out. 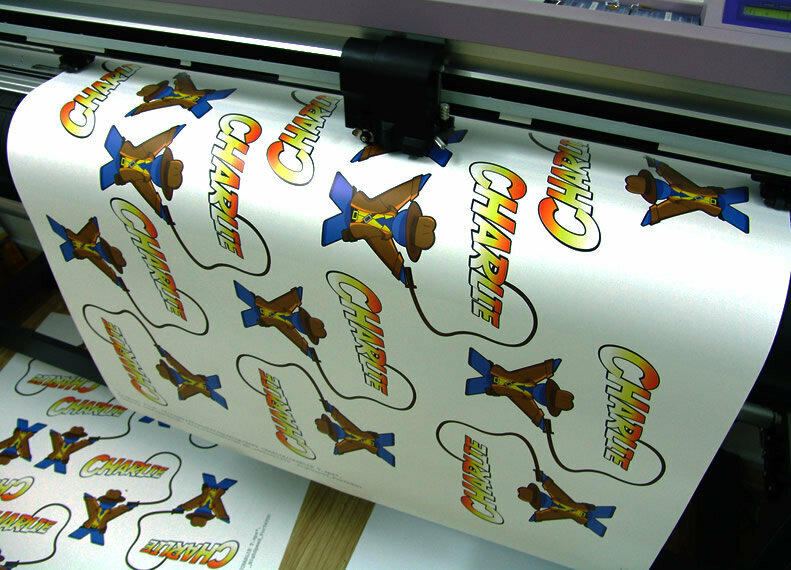 This ensures that each transfer will be beauifully cut using our remote guillotine and there will be no white areas surrounding your artwork, guaranteeing a crisp transfer, every time. The artwork then gets sent to print to our lovely CMYK printer, which is able to replicate your desired colours highly accurately. From here, the print-outs are left to dry. Once the prints are completely dry, they are ready to be cut out using our handy remote guillotine. 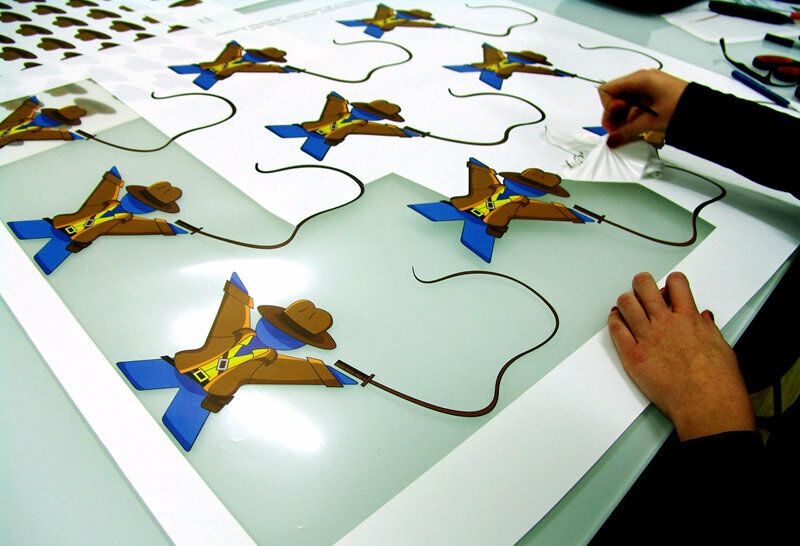 Sarash then adds the cut lines to be inputted into the guillotine, so it knows where to cut out your transfer. 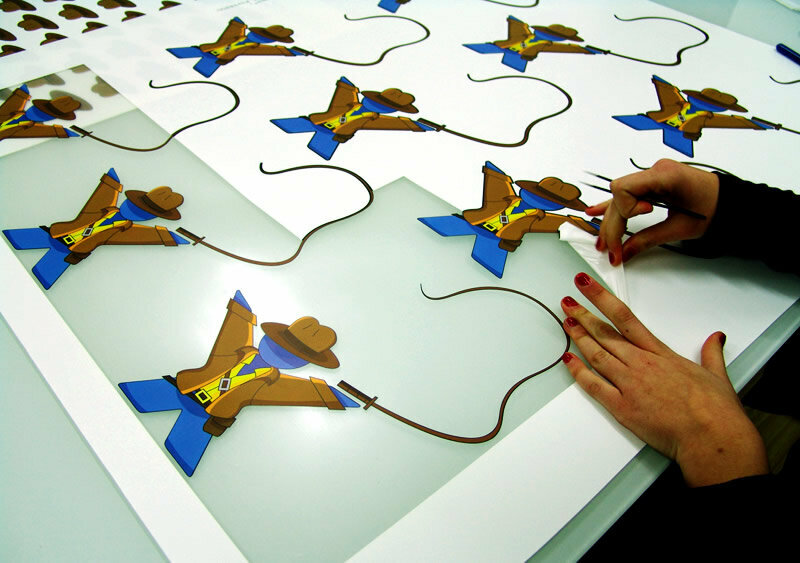 The guillotine is quite amazing to watch as it quickly cuts around each of the transfers. The finished product! Printed and cut out, ready to be “weeded”. And that’s pretty much it! 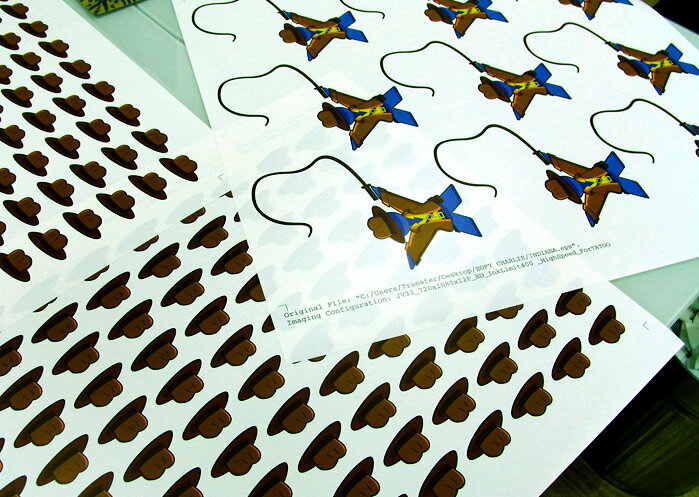 From here, the whole sheet of transfers are laminated in one go, then cut out into individual pieces. 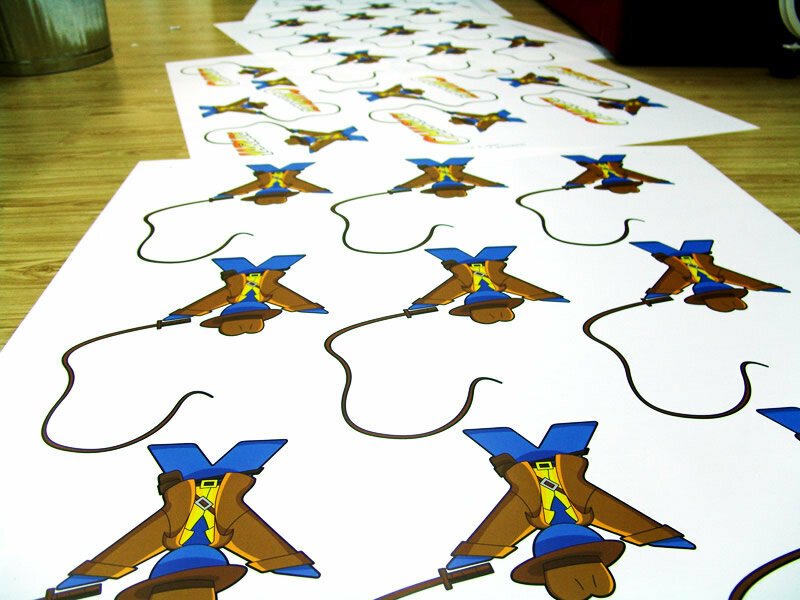 Then we pass them onto the production team, who transfer them onto your garments! Call us today to see how our digital transfer service can offer you that picture-perfect, photo realistic finish you need for your garments!